Proper preparation of an artist support is essential for producing long lasting artwork. This preparation is the bridge between the support and the paint system, and is essential to the life of the piece. The style and type of paints used directly influence the choice of support, size, primer and ground.This Information Sheet provides the artist with a general understanding of the materials best suited for a particular application. The question of whether a size, primer, or ground should be used for a particular project is mostly determined by the types of paint that will be used, the manner in which they are going to be applied, and the nature of the support. For instance, a staining technique performed on raw canvas will yield dramatically different results than when applied on a canvas to which a size, primer or ground has been applied. Other concerns include material flexibility and intercoat adhesion. Paint Type: Acrylic, Oil, Alkyd, Watercolor, etc. Paint Viscosity: Washes, High Flow Acrylics, Fluid Acrylics, Heavy Body Acrylics, Paste Paints, etc. Paint Film Thickness: Spray-applied Films, Brushed Layers, Thin Films, Thick Films, Impasto Layers, etc. Paint Opacity: Translucent Colorless Films, Colored Glazes, Full Strength Paints, etc. Painting Scale: Miniature Paintings, Portrait sized Canvases, Wall Murals, etc. Paint Film Hardness: Flexible Acrylic Paints, Hard GAC 200 Films, Inflexible Oil Paints, etc. Considering all of these factors will help the artist to choose the best support for a particular application. However, the surface can also dictate the type of paints that should be used. For instance, if artwork is to be applied to a metal building, certain paints should be avoided. Others may need to be modified. Typically, before applying paints a nonporous surface, sanding, scuffing and/or degreasing is also required. Each project should be individually assessed. The artist needs to weigh the positives and negatives of each entire system before choosing what products to use for the job. The term "support" refers to any material onto which paint is applied. Canvas, wood, and paper are common painting supports, but the types of supports used for artwork are very extensive. Cave walls and animal skins were among the first supports. Plaster frescos and wooden panels later became prominent, which eventually gave way to linen and cotton canvases. Modern supports such as polyester canvases, AcrylaWeave® and Syntra® panels will most likely succumb to other advancing technology. The search for the ideal support is perhaps a neverending quest, and is very much influenced by the types of materials available at the time. Today's most common supports include acidfree papers, illustration board, cotton canvas, linen, polyester canvas, masonite, aluminum, and various wood panels and plywoods. Each artist must choose the support that best suits his or her needs. The ability to roll a piece of artwork may be required for transportation or other reasons. Thicker paintings require a sturdier support; in this case, a timber support may be in order. The artist must determine what features are most important for the requirements at hand. Some times the support is an integral part of the painting itself, whereby part of it may show through. Using highly polished aluminum as the support, and priming with clear mediums, will allow thin transparent colors to appear metallic. Others choose to use coarse linen so that the weave can be easily seen under the primer and support. durability. Flexible supports like canvas may require different preparation steps than rigid supports. A discussion of these issues follows in the sections listed below. Supports that are nonporous may need to be abraded to create a surface profile that allows for adhesion of various paints. This can be accomplished by sanding, scuffing, or sandblasting. The best way to promote adhesion to glass is by sandblasting, then applying hard paints to the surface. Some rigid supports can be simply scuffed with a ScotchBrite® pad for increased adhesion. Often, a primer formulated specifically for such a nonporous surface can be used to insure adequate adhesion. If the support is an existing building wall or other prepainted surface, it will need to be pressure-washed or sandblasted to remove any defective or loose paint. (See the Murals Page for more information on surface preparation). Failure to do so can have dramatic negative side effects. Before applying paint, mold and mildew must be removed by hand scrubbing with a mixture of 1 part household bleach to 3 parts water. CAUTION: Never add ammonia or ammonia-based cleaners to bleach! Wear goggles and protective equipment while cleaning. After scrubbing with a brush, allow the solution to sit on the surface for 10 minutes before thoroughly rinsing off with clean water. To ensure proper adhesion, any support that has been sanded or otherwise abraded must have the dust removed before priming. This can be accomplished by using air pressure, vacuuming, or wiping with a damp cloth, depending on the nature of the support. Metal surfaces must also be degreased with isopropyl (rubbing) alcohol or solvent before painting. Other surfaces may also need to be degreased, to remove soaps or mold release agents, fingerprints, etc. Oil painters must size their canvases to stop the acidic oil from penetrating into the support, which can cause the fibers to rot. Traditionally, a hide glue (typically rabbitskin) was applied directly to canvas or linen to stiffen the fabric and protect the support from the acidic oils. Initially this made hard, brittle paints like tempera and oils less susceptible to cracking. Ironically, it promoted cracking later on when the artwork was introduced to varying temperatures and humidity. Rabbitskin glue and other known glues of the "Old Masters" era are hygroscopic, meaning they will always have the ability to absorb water. When moisture, usually in the form of high humidity, is reintroduced into this film, the glue swells, changes dimensionally, and becomes less rigid, causing the paint film to crack and, over time, flake off. This is most prevalent on cotton and linen canvases as their inherent flexibility allows the stress to be passed along to the oil paint film. With rigid supports such as wood panels, the chance of swelling is much lower, and this glue size is more appropriate. Stiffening and Oil Blocking sections below). Support Induced Discoloration (SID) is a phenomenon that occurs in acrylic paints and mediums. Many common artist supports have impurities that can discolor a translucent acrylic gel layer or color glaze, and a size must be applied before gessoing to ensure the products stay clear as the films dry. As a paint film cures, the water exits two ways: through the surface of the paint and through the back of the support, if porous enough. Canvas, linen, wood and masonite are all porous enough to allow water to absorb into them. During this drying process, the water is actually in equilibrium moving back and forth between the acrylic paint and the support. The water extracts watersoluble impurities such as dirt, sap, starches, etc., from the support and deposits them into the acrylic film. The result is a discolored (typically amber) film, with the degree of discoloration dependent on the amount of contaminants deposited and the inherent level of impurities in the support. translucent gel layers, SID becomes quite noticeable. SID can transform the appearance of an Ultramarine Blue glaze into a lower chroma, greenish color. Gesso alone will not stop SID, and different gels and mediums have varying degrees of blocking capabilities. The best product Golden Artist Colors produces to prevent SID is GAC 100. This thin medium works best when 2 or more coats are applied directly into the support. Once dry, the canvas can then be primed and subsequently painted with less potential for discoloration. Pre-primed canvases can be sealed with GAC 100 as well. Apply one or two coats onto the surface, and follow with at least one coat of gesso to regain tooth if needed. GOLDEN GAC 400 functions very well in stiffening fabrics, especially cotton canvas. However, it is less effective on linen. It will not become increasingly brittle over time, and is not hygroscopic like rabbitskin glue. Resolubility of the hide glue can be a problem if a waterborne acrylic gesso, paint or medium is applied over the glue, causing poor film formation and possibly delamination from the support. Maximum stiffness is achieved by stretching the canvas, and applying a coat of GAC 400 to the front. The result should be a canvas that has significantly less "bounce" when painting. Care should be taken if rolling the canvas for shipping or storage as the loss of flexibility will increase the risk of cracking. To minimize this maintain the largest diameter possible and roll with the painted surface pointing outwards. GOLDEN Laboratories recently conducted a study to find out which medium used as a size would stop oil penetration the best. The results were that two coats of GAC 100 did the best overall, with Fluid Matte Medium also performing well. When using any of these products to block oil penetration, it was found that a minimum of 2 coats was required to adequately block the oil, with additional coats offering additional insurance and protection of the support. A typical Gesso required 3 or more layers to fully prevent the oil from passing through to the support. The reason for this is that the Gesso is designed to be porous and moderately absorbent to facilitate adhesion of subsequent paint layers. It is important to allow sufficient drying time (1 to 3 days) before painting, so that the size can coalesce into a uniform film for maximum oil blocking. To date, the best system to both stiffen the canvas and block oil penetration is to first apply 1 coat of GAC 400 to the front of the canvas to develop the stiffening of the fabric, followed by 1 coat of GAC 100 to achieve the oil blocking properties. Once dry, apply 2 coats of Gesso to the front. A primer is a foundation layer that improves paint adhesion onto the support. The traditional oil paint primer was a quick drying, "lean" paint that sealed and prepared the surface to accept the subsequent layers of paint. Some of these primers were made of hide glue and solids (chalks); others were made of lead white pigment in linseed oil. In the modern sense, a primer refers to a coating that similarly prepares the surface for the acceptance of paint. Currently, there are a wide variety of water, alkyd, oil and urethane-based primers especially designed for the wider range of paintable surfaces. Primer selection depends equally upon the support and the paint system to be used. It is imperative to use a primer that adheres well to the support, as well as ensuring that it offers adequate adhesion for the subsequent paint layers. Alkyd primers are well suited for increasing the adhesion of paint to metal. Automotive primers are often used for spray applications on metal surfaces. Many primers are surface specific, like sheetrock primers, wood primers and masonry primers. When searching for an appropriate primer for acrylic paints, first find one that is intended for the support to be used. Then be sure that waterbased latex paints (of which the acrylic artist paints are a subgroup) will adhere to the dried primer coating. Always test out any new materials before applying them to a project to avoid costly mistakes with incompatible materials. Acrylic Gesso is an excellent primer for most natural substrates such as canvas and wood, yet there are great variances between manufacturer's products. Some gessoes, such as "Student Grade Gesso," contain low acrylic levels and high solid and water levels. This type of product has good absorbency but is susceptible to cracking, especially when flexed, rolled or applied thickly. GOLDEN White Gesso is formulated with sufficient acrylic levels to yield excellent flexibility, while also having sufficient pigment levels to create a favorable level of absorbency and opacity. There is enough water to ensure proper shrinkage to tighten a stretched canvas, yet it is resistant to cracking when flexed. GOLDEN Sandable Hard Gesso contains solids that facilitate sanding, but is limited to more rigid supports to lessen the chance of cracking when flexed. Acrylic Gesso can be used for acrylic, watercolor, tempera, gouache, casein, alkyd and oil paints. When using as a primer under rigid paints (such as oils), the flexibility differences can be counteracted by using a rigid support (such as wood), or applying a size of GAC 400 to the flexible support. Using Mediums as a "Clear Gesso"
Even when an artist intends to have the support show through, he or she should apply some sort of medium to the surface. This allows for protection of the support, and may be important for adhesion of paints to the support as well. The need for adhesion is especially true when applying thick paints, such as GOLDEN Heavy Body Acrylics, onto starched canvas or other sizings that offer some degree of water-resistance to overcome the inherent holdout that may occur. Holdout can result in dry paints being relatively easy to peel away from the unprimed surface. GOLDEN Fluid Matte Medium, Matte Medium or GAC 100 (for acrylics) will all work well as clear "gessoes" to allow the look and texture of the canvas or other support to show through. GOLDEN Fluid Matte Medium and Matte Medium will result in a clear and matte surface, while the GAC 100 yields a glossy finish. A minimum of two coats is recommended. Thin washes of paint for stain applications will be altered by the use of any primer. Therefore, the artist can get proper film permanence by allowing the stained canvas to fully dry, and then apply the clear "gesso" over it, sealing off the canvas. This is an important step to ensure the archival nature of the fabric. An alternative to such applications would be to use GOLDEN Absorbent Ground to prepare the support for staining, as this product offers some unique absorbent qualities (see section below on this product). GOLDEN High Load Acrylics can be used as "colored grounds," as they are very similarly formulated to GOLDEN Gesso. They are singly pigmented, not tints (pigments blended with Titanium Dioxide), and have great intensity of color. The "toothy" quality resembles a gesso, while the high level of pigment provides colorful grounds. This GOLDEN product is a relatively translucent ground with a granular texture similar to fine sand. It provides enough tooth to simulate a pastel paper's roughness, and can be used under chalk, crayon, charcoal, graphite and pastel. It can be applied over other acrylic mediums, gesso or colored backgrounds. Its toothy nature is effective for drybrush painting effects. GOLDEN Absorbent Ground is a unique product that offers excellent absorbency, allowing artists to mimic stain or watercolor effects previously only obtained by watercolor paper. It can also be used to impart various textured effects by varying the application tool (coarse brush, squeegee, etc. 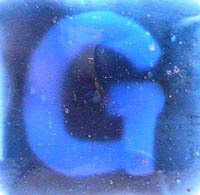 ), and can be applied on any surface that can be gessoed, allowing for almost unlimited possibilities. When properly sealed, the work does not need to be displayed behind glass. Most acrylic mediums and gels are stable enough to easily accept acrylic paints and other types of mediums, such as pastel and pencils. Always test your applications first before starting. GOLDEN Pumice Gels can be used to create textured surfaces. They dry to a hard film, yet you can increase their flexibility by mixing them with other GOLDEN Gels and Mediums. The Fine and Coarse Pumice Gels can be useful as grounds for pastels. The density of the wet product is over 50% less than that of GOLDEN regular Molding Paste. This results in a significantly lighter film. This dramatic weight reduction will be beneficial in creating artworks that are large in size, have thick film buildup, or both. The product dries to an opaque, matte finish, and the consistency is designed to hold stiff peaks to create a highly textured surface. Archival - ability to last a long time. Below are 2 reference charts to show typical product application to properly prepare the support to accept paint. These are general guidelines, and certain circumstances will require additional products and prodecures.